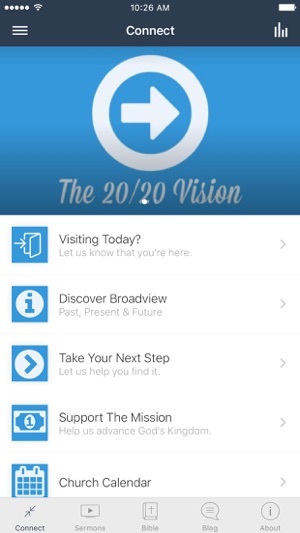 The official Broadview Church App connects you to a variety of helpful resources from Broadview. You can access the latest sermon by Lead Pastor Wes Terry, past sermon series, details about upcoming events, the latest posts from the Broadview Blog, and other relevant content. Not only are you able to access some of your favorite content from Broadview but you can also share it with your friends via Twitter, Facebook, or email. 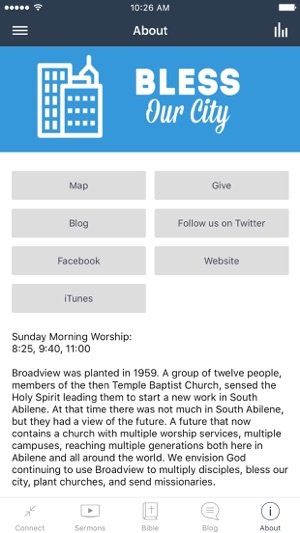 The Broadview Church App is the quickest, simplest, and most convenient way to stay up to date with what is going on at Broadview. 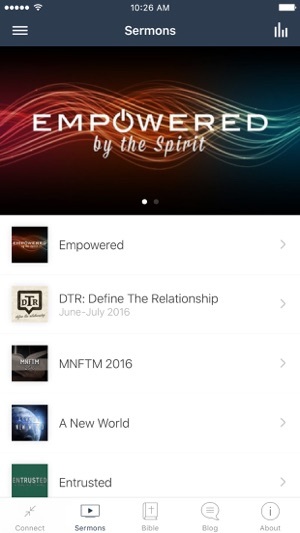 The Broadview Church App was developed with the Subsplash App Platform.